Hello! Stephen Bradley’s debut single “Over and Out” is now available to purchase on iTunes! Click here to go get it! Congratulations, Stephen! It’s awesome! I got my copy! Congrats to Geo C for designing the cover! Hello! Calvin Harris’ upcoming album is now available to stream on iTunes, ahead of it’s official November 4 release. Gwen collaborated with him on track 13, entitled “Together”. Click here to listen in iTunes! 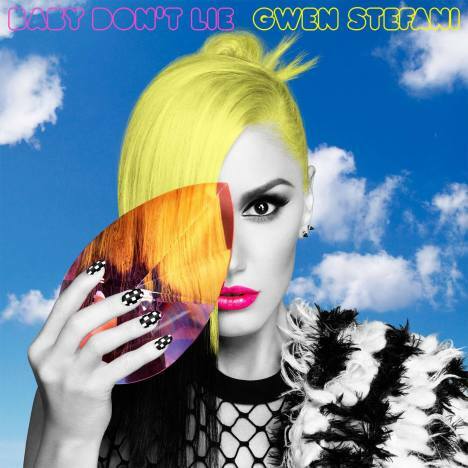 “Gwen Stefani’s “Baby Don’t Lie” is gains significant early traction at Hot AC. OneRepublic’s “I Lived” adds to its support base. That Gwen Stefani’s “Baby Don’t Lie” has thus far made its largest splash at pop radio does not mean it is unappealing to those in the hot adult contemporary genre. Already the #34 song at Hot AC, Stefani’s comeback single ranks as the format’s most-added song this week, says Mediabase. Hello! No Doubt played a private show at the Spirit Of Life Award Gala on the 23rd in honor of Apple executive Eddy Cue! Check out ndfanatic10’s Instagram page for more photos and video! Hello! Gwen performed at the second annual CBS Radio We Can Survive concert last night at the Hollywood bowl! “Baby Don’t Lie” music video is here!!!! Don’t forget to buy the song, and show your support for Gwen! Hello! Gwen gave a couple more radio interviews this morning. She was a busy lady! Hello! Gwen was also on Carson Daly’s radio show just a few minutes ago. She played a snippet of another of her new songs she did with Pharrell, called “Spark The Fire”! She revealed that she’s also filmed a music video for that song, and Sophie Muller directed that one as well! I’ve uploaded the interview here. The song preview starts at about 2:20 in part 3. Hello! 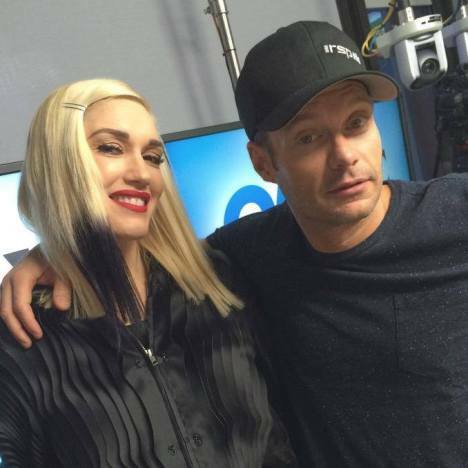 Gwen was just on Ryan Seacrest’s radio show. I’ve captured, and uploaded .mp3s, which you can grab here. Gwen shared that No Doubt has just recorded a new song called “Shine”! She also worked with Pharrell on another solo song called “Spark the Fire”. Hello! Gwen’s new single, “Baby Don’t Lie” is available now! Please be sure to buy the song, and show your support for Gwen! Also, please ask radio stations to play it! See this thread in the official forum for some great info on how to do so. “Gwen Stefani’s new single “Baby Don’t Lie” has arrived overnight. Fans, however, will have to wait until Monday night’s edition of The Voice for a glimpse of the music video. Stefani’s new song, released digitally through Mad Love/Interscope Records and co-written with its producers Benny Blanco, Ryan Tedder and Noel Zancanella, is her first new solo effort since sophomore album Sweet Escape bowed at No. 3 on the Billboard Top 200 back in 2006. The official video, directed by Sophie Muller (Shakira, The Killers, Blur) and Weirdcore, will get its full debut Tuesday on Vevo. Artwork for the song was shared over the weekend. Stefani’s manager Irving Azoff recently revealed that the singer has been in Miami, recording new tracks with frequent collaborator (and Voice co-star) Pharrell Williams. It’s likely she’ll perform “Baby Don’t Lie” on The Voice later in the season. Interscope chairman John Janick revealed to Billboard that she’s aiming for a December release date on a solo album. “Baby Don’t Lie” is set to debut tonight on iTunes at 9:00 PM PST, 10:00 PM CT and midnight EST, and Monday morning on OnAir with Ryan Seacrest. Gwen will be live on air with Ryan! You can listen to the broadcast on his web site. Gwen’s official website has a new layout, as well. You are currently browsing the Greener Pastures – a No Doubt fan site archives for October, 2014.